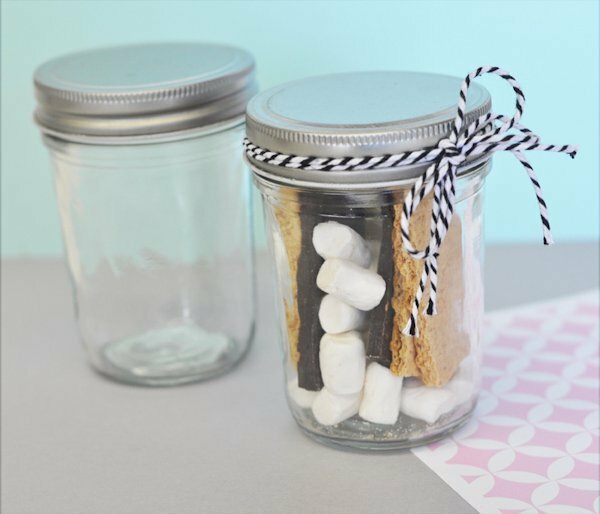 SHARE A fun way to add your own style at your next event, our DIY Mini Mason Jars offer a ton of options to allow you to customize these favors for a creation all your own! 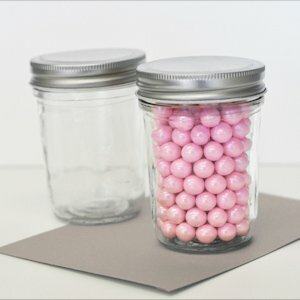 Fill the glass jars with candies, S'more makings, small trinkets, colorful sand and more, the metal lid will keep the goodies inside protected. The jars themselves can also be decorated for a lasting, personal favor your guests will enjoy for years to come. Size: 3 7/8" x 2.5". Candy is not included. For the version of this gift that offers a personalized label, please search EB2310.